It’s that time again……….and I want IN!!! 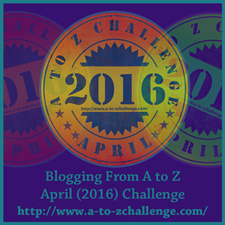 For those who either forget, or are doing the best to block it from their minds, The April A-Z blog challenge starts on Friday, April 1st. One new post each day except Sundays. Zulu Delta 45 will be there…….for as long as I can. As always, I’ll try to keep more of my posts shorter, find my spelling mistakes earlier, limit my enthusiasm for The Partridge family, temper my pontification on the existence of Aliens………AHHHHH! SCREW THAT; lets just find out what I write about next………I don’t even know, but I’d appreciate it if you came along for the literary ride! This year, I’m going to attempt to write a little more about a recent trip to Europe, and some of the observations of travel in general. Comments are always welcome! “See you” soon. I am ready! Carry on!